"How do I get a MTV internship?" It's a popular question for wanna-be music business workers who have their sights set on a career either behind the scenes at MTV or in front of the cameras. Competition is fierce for MTV internships (and internships at their sister music networks), but the prize is well worth it. That kind of hands-on experience at a major music industry company and exposure to the real-world environment that you can expect after graduation can be a big career boost. 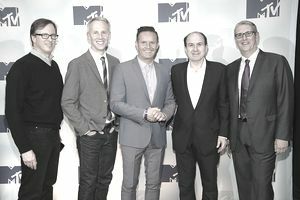 MTV is part of media company Viacom, which offers a summer associate program. Prospective summer associates apply via the Viacom Careers Summer Associate portal. The 10-week program is for recent college graduates, and according to Viacom's website, it's more than a behind-the-scenes view of the music industry. Those chosen as summer associates for one of Viacom's properties, which along with MTV include Nickelodeon, Comedy Central, Spike TV, and VH1, will receive what the company calls an "immersive" experience. Advisers will help associates develop a group business proposal to senior executives and many former associates are hired at the end of their summer program. Get familiar with the channel you want to work for and be willing to pivot if you don't get your first choice. It's worth considering an offer to work at VH1 if there isn't a place for you at MTV, for instance. If there are a lot of candidates for the on-camera positions, consider whether you'd want to be part of the team that staffs MTV's Facebook or Twitter pages. Try not to limit yourself to just one potential job; a foot in the door is always valuable for recent graduates looking to break into the industry. Viacom and MTV's summer associates work in a variety of departments, including engineering, product, UX and UI design, digital research, content production, and marketing. This may include work beyond on-air projects, including social media, live events, and web and mobile sites. Applications open in October and close in November, with specific dates depending on the department. First-round candidates are chosen by January, with in-person interviews in late January and February. Candidates will know if they've made the cut by mid-March. The summer associate program then begins in June. MTV's summer associate program is for recent college graduates, but there are usually other opportunities available for undergraduates through Viacom's College Relations department. They tend to vary based on the department and individual channel. You also might seek out internship information through your own college placement office. And MTV frequently has internship drives on college campuses, so find out if and when they are scheduled to swing by your school. Here is your chance to sell yourself. Although not having music industry work experience isn't a deal breaker, if you do have some hands-on music work, by all means, play it up here. And the more versatile you are, the better the chances you'll be considered for different positions. You'll want your internship resume to reflect any other skills that would make you a viable candidate, like social media or writing experience. Former MTV interns report that the interview process can move swiftly, so be prepared well before you get that first phone call. And while internships at any of Viacom's properties are highly competitive, being a well-rounded and enthusiastic candidate will get you a long way for any opportunity.